Life hasn’t been a cakewalk for the boomers, and it isn’t hell on earth for their children. So writes Malcolm Maiden in The Age about the common belief that Baby Boomers had it too good and Gen X & Gen Y are having it hard. He also has some interesting things to say about the wealth of the Baby Boomers and housing affordability. Housing affordability is not the worst it has been. You have probably seen reports recently that house prices have returned to record highs as a percentage of household income. 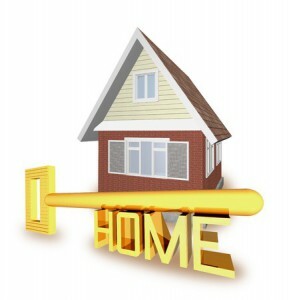 The dollar value of debts that are being taken on to purchase homes is also therefore at record highs. However as the chart shows, the relative cost of servicing home loan debt is lower than it was in the 80s and early 90s because home loan interest rates have fallen. It is actually in line with the average since 1980. Average annual earnings were about $26,400, and mortgages were priced at 17 per cent.In 1989 an average Sydney house cost $170,000, and an average Melbourne house cost $132,000. Today, the median Sydney house costs about $873,000, the median Melbourne house costs about $610,000, average earnings are about $77,000, and the mortgage is about 5 per cent. The first is that rates will not stay low forever. 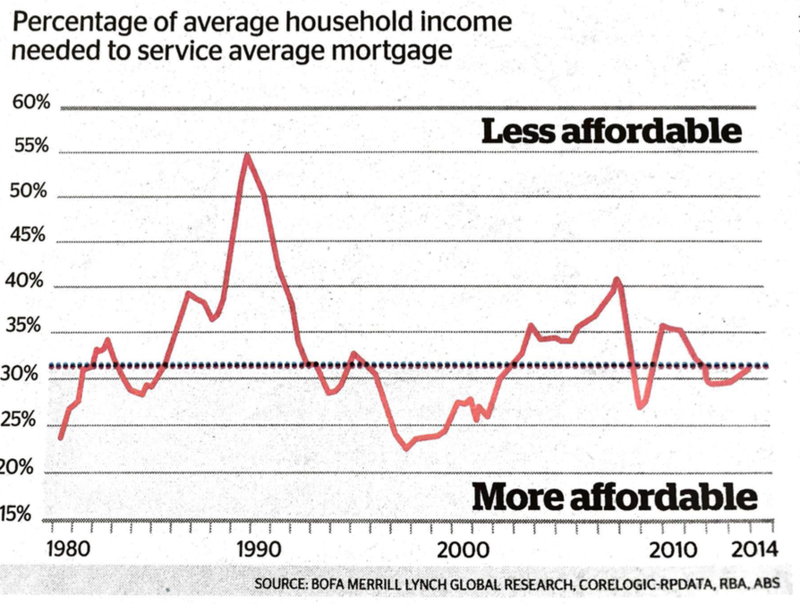 Affordability will worsen if house prices don’t fall as interest rates rise. The second is that high house prices are creating dauntingly high housing loan deposits: Treasurer Joe Hockey said that giving home buyers access to superannuation savings was one possible solution to that problem. Why are Baby Boomers so “Rich”? Baby boomers are richer than their kids because of the miracle of compound interest. The Grattan Institute’s much-quoted December 2014 report on intergenerational wealth found that average household wealth for 55 to 65-year-old households was $173,000 higher in 2011-2012 than it was for the same age group in 2003-2004, and that the corresponding gain for a 35 to 44-year-old household was only $80,000. Relatively modest investment returns create progressively bigger dollar gains as the money base expands, however. The biggest dollar gains for boomers have come towards the end of their working lives, and there’s a good chance it will work the same way for their children. Maiden then clears up a misconception about Superannuation. The fact that Baby Boomers have only been under the umbrella of the superannuation guarantee and the wealth it builds for part of their working lives. They were up to 37 years old in 1983, when the seeds of the super system were sown by the first Labor-ACTU accord, and between 31 and 46 years old in 1992, when the Super Guarantee began at a contribution rate of 3 per cent. People who entered the workforce in, say, 2000 began with a contribution rate of 8 per cent, are at 9.5 per cent now, and will be booking contributions for their entire working lives. Super does need to be reformed. Tax-free super retirement income is a ridiculously generous gift that encourages the use of self-managed super to avoid tax, and ways to discourage retirees from running down their super and then hopping onto the aged pension need to be found, for example. Those who are following the boomers need to be very careful about lobbying for cuts to super tax breaks that compensate for the fact that superannuation money is locked up for decades, however. They are even more exposed to the super system than their parents. They are also of course the ones who are waiting in line to inherit the wealth that the boomers have created.